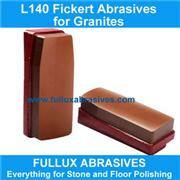 Mainly used for dressing and cutting granite and marble blocks. Other spec are available upon request. Other specs are available upon request. If you are interested in us, Please contact with us,and Welcome to vist our factory. Monte-Biancohave focused on overseas markets since our corporation was found, and we started to share the most of overseas markets from 2003. We insist the stratagem of " Keep Improving to Build up an Ever-lasting Famous International Brand ", after more than 10 years of study and improvement we set up a strong and world-wide net of overseas marketing. We have a perfect overseas marketing team, who dedicate to provide customers with sales and services including consultation services before sales, sales services and after-sales services. Thanks to this top teamwork, the brand of Monte-Bianco wins the trusts from world-wide partners.Up till now our brand Monte-Bianco has been approved and trusted by customers from more than 60 countries and regions. 4. Strict quality control system, accept inspection by 3rd party, as ISO9001, ISO14001 and OHSAS18001 systems. 6. Custom design can be meet upon request, small trial order is available in any time, We offer OEM services. Can print your own logo on product , can customize the retail box packing and other things. 7. Easy communication,Monte-Bianco professional sales team will always answer you in time, besides, friendly and helpful after sales service is always there for you. Now lots of people in the world like to use Chinese products because the quality is best and the price is also very competitive. Monte-Bianco Diamond Applications Co., Ltd with more than 15 years of constantly dedicated research and development of super-hard material applications, now we are one of the leading ISO 9001 and ISO 14000 certified companies in the industry of Chinese super-hard material applications. Up till now our brand Monte-Bianco has been approved and trusted by customers from more than 60 countries and regions. We would like to inform in your country who is using Monte-Bianco 's products and what the using result is! If not available we think a small amount trial order for testing is necessary. 2 . Do you offer FREE Samples if I want to buy your products? Monte-Bianco never offer free samples, this is high value products so very very less diamond tools company would like to offer free samples, if you want to try the products please buy. According to Monte-Bianco 's experiences Monte-Bianco think when people get the samples by paying they will cherish what they get. But we are willing to give our potential customers a special discount which they are used to do a testing. It is very important to give us feedback, we appreciate it. 3.I don't see any prices on your web site. Can you tell me why? Since so much products with different specification concerned, there is no necessary for us to put our price list on the website. We always send the offer according to our customers' detailed enquiry! 4. Does your company accept custom-made? Surely, we accept it. Including different velcro color, grit etc. We also can mark your own logo and brand on the pad. Any new products you want us to produce for you, just send us your drawing or sample, we will produce the same one. We will not sell this kind of products to other customers only if we get your permission. 5 . How to place order to your company? 2. Confirm the price, lead time, logo, payment term etc. 3. Monte-Bianco sales send the Proforma Invoice. 4. Customers make the payment as a deposit and send us Bank receipt. 5. Sales confirm the receipt of down payment and make the samples according to your requests; Photos of products or Samples will be sent for your confirmation and approval. After approval, we will arrange the production & inform the estimated time. 6. Production process - we will follow closely the full process for you; Send photos to keep you informed of the progress of production. Update the estimated delivery time. 7. End Production-Mass production products photos and samples will send to you for approval. You can also arrange the third party Inspection. 8. Clients transfer payment balance and we Ship the goods with transportation means requested. Inform the tracking number and send other shipping documents. 10. Feedback to Monte-Bianco about Quality, Service, Market & Suggestion for our improvement so that wo can do best for you. 6 . If we make the payment, how long you will make the shipment? It depends on the quantity of order. Our Monthly production amount various of diamond tools will be more than 5,000,000pcs. 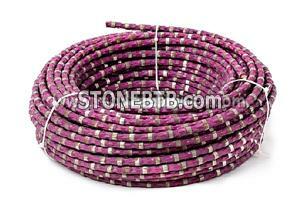 Usually we can send the goods within one week on receipt of payment Special specification products by negotiation. Monte-Bianco will inform the approximate shipping date before you place order. 7 . What is the minimum quantity we should buy? For sample purpose we don't mind how much you buy, we will send the samples by courier(DHL, TNT, UPS, EMS, etc). For order it should be over USD1000.00 or the total weight should reach 45kgs(requested by AirLine Companies, otherwise the Airfreight is double or more of usual price). 8 . What we should do if your products can not run well?Whom do we contact if we get poor performance? If our products can not run well, firstly, please check whether the installation is right? Then please check whether there is problem with the machine? Third is whether your workers they were operating the machine in wrong method. After get rid of these possibility then it's the problem of our products. Under such situation, please ask your technical man to guide the running of machine. Otherwise continue the running according to your experience or uninstall our products and change to other manufacture's products temporarily. For example, if our segment can not cut, first please open the segment again, use brick or sandstone, if it is hard to open please use concrete. If still can not cut, please replace it with other manufacture's products to continue the production line. Please contact us directly if you get poor performance of our products, send us the detailed report for our analyse, it is better if you send back those used products so that our technical department can check the problem. If we find the reason is at our end, we will make compensation for our customers or replacement will be done immediately. 9. I want to be your agent, what is the conditions? If you want to be our agent, the good capability of marketing is necessary, the other items we can settle down by negotiation. Company Name:Monte-Bianco Diamond Applications Co.,Ltd. If you are interested in any of our products or would like to discuss a custom order, please feel free to contact us.We are looking forward to forming successful business relationships with new clients from around the world in the near future. Your special requirements are highly valued; please contact us for more details. Company Name :Monte-Bianco Diamond Applications Co., Ltd.
Company Address :No.7,8th Xingye Road,Chencun Industrial Zone,Shunde,Foshan 528313,Guangdong,China. Segmeng Height:(6+2)mm for 10---32"(8+2)mm for 36---80"
Advantadges: 20%~30% sharperthan normal type. 30%~60% longer lifespan than normal type.